What are the symptoms of a tick-borne infection? Is it unusual to take antibiotics long term? What tests should I ask my doctor for? What are "reference laboratories" and "tick-borne" laboratories? Why cant I find anyone who will help me? What are Lyme Literate Medical Doctors? Where can I find a doctor like this? Can tick-borne infections cause psychological illnesses? Can Lyme infections persist after 14-30 days of antibiotic treatment? Can I still have Lyme disease and have a negative test? What is the Western Blot test? Could I have Lyme disease if the Western Blot test is negative? I was told that I had less than 5 bands on the Western Blot test, could I have Lyme disease? Is there a good screening test? Can Lyme disease be cause Chronic Fatigue and Fibromylagia? Can Lyme Disease cause Autism? What is a "case definition?" What does it mean "for Surveillance?" Dr. Burrascano & Dr. Nicola McFadzean in new "Beginner's Guide to Lyme Disease." See at http://www.Lymeforbeginners.com (Alternative Care--please note that many patients do well with a combination of antibiotic therapy AND alternative care). Lyme disease was documented in the 1970's in Lyme, Conneticut. "Lyme" is actually the name of a city. Neuroborreliosis is caused by a spiral shaped bacteria called borrelia burgdorferi, which is a kin to syphilus, and transmitted by vectors who take a blood meal, like ticks. This bacteria can cause about 70 different symptoms that come and go. It is one of many tick-borne infections. Tick-Borne diseases are a cluster of about 100 bacterial, viral, and parasitic infections which pass into the blood stream through the bite of a tick. The organisms can spread into central nervous system, blood, organs, muscle, skin, and bone, and throughout the body. It can cause anemia, blood clotting, heart disease, paralysis, and brain injuries. The infection (s) can be managed well if caught early and treated long enough. If not, the infection (s) can cause a wide range of disabilities like multiple sclerosis, lupus, Parkinson's, and many other "autoimmune" diseases with neurological effects, rheumatoid arthritis, and excruciating pain and fatigue. Lack of treatment can be fatal. Lyme disease is a tick-borne illness prevalent in the United States and other countries throughout the world. It is estimated that more than 300,000 people are infected each year, which is 7 times more prevalent than AIDS. However, it is believed that there are far more people are infected than reported due to many factors: CDC case definition which severely limits which laboratory tests that are considered "positive," inaccurate laboratory testing, lack of physician education which leads to misdiagnosis, lack of awareness within the general public. Lyme disease is caused by a spiral-shaped bacteria (spirochete) called Borrellia burgdorferi. The infection is most often transferred to humans from the bite of an infected tick, although many believe there are other ways of transmission including sexual and mother-to-child transmission. There are many more tick-borne infections than Lyme disease. In recent months, studies are showing that babesia, a tick-borne parasitic infection of the red blood cells are being found in the blood supply from those who have donated blood. Blood banks currently do not check for tick-borne illnesses. Fewer than 50% of people remember being bitten by a tick or getting the “tell tale” bull’s-eye rash that is considered to be a classic sign of Lyme disease infection. Most lyme sufferers see anywhere between 10 to 20 doctors in search of an answer to their growing symptoms. Generally speaking, when people talk about Lyme Disease, they are talking about an array of infections, often when the tick bites it transfers more than just the Borrellia burgdorferi bacteria. This transfer can include other tick borne illnesses such as bartonella, babesia, ehrlichia, Rocky Mountain Spotted Fever, Rickettsia, Stari/Masters, Relapsing Fever, Tularemia, Q-fever, and more. Lyme disease also can cause the activation of viruses, hormonal imbalances, neurological and cognitive impairments. If treated early, the majority of people can get well. If treated early and long enough with antibiotics, people can get well. a large percentage of people can get well within one year of continuous antibiotic medications either orally and/or IV. about 20% will need 3 to 5 years of oral and IV antibiotic medications. A certain number of people will need oral and/or IV medications for the rest of their lives. Often referred to as the great imitator, Lyme disease is commonly misdiagnosed as; Multiple Sclerosis (MS), Amyotrophic Lateral Sclerosis (ALS), Chronic Fatigue Syndrome (CFS), Fibromyalgia, Seisures, Autism, Attention Deficit Hyperactivity Disorder (ADHD),Learning disabilities, Lupus, Crohn's disease, Alzheirmer's, Parkinson’s Disease and many other chronic illness and syndromes. Many sufferers are told that they is nothing wrong with them, that they are depressed and are referred to a psychotherapist for depression. Undiagnosed and misdiagnosed Lyme disease can lead to severe health problems including Fibromyalgia, Rheumatoid Arthritis (RA), Chronic Fatigue Syndrome (CFS), Bells Plasy, heart rhythm irregularities, cognitive defects, neurological symptoms, memory loss, brain fog, seizures, depression, anxiety, psychosis and more, including death. Although many people are being told that they should not use antibiotics for longer than 10-14 days or 30 days, it is "normal" STANDARD OF CARE in the world of infectious diseases to treat patients long term. Lyme disease patients are very unusual because they are denied access to the normal Standard of Care given to patients with severe, debilitating bacterial infections, such as Q fever and leprosy. Prior to the 1980's, it was common to treat Lyme disease patients with long term antibiotic therapy. AIDS patients and dermatological patients are allowed to receive open-ended antibiotics as needed and ordered by a medical doctor. We are not medical doctors. We are friends helping friends by sharing our experiences and encouraging self empowerment and self advocacy. Seek medical advice from board certified medical doctors. http://www.ILADS.org has a physician training program. Please call them to ask for a doctor training in treating tick borne diseases. Most doctors will order the ELISA test. ONLY if the ELISA is positive, will the doctor ask for the Western Blot test. It has been said that the ELISA is up to 95% inaccurate. Your doctor may conclude that you don't have Lyme disease. Also, according to the CDC, a doctor can just look at a "bite" and decide "its not Lyme disease." 1. Ahead of your appointment, contact a laboratory specializing in tick-borne illnesses. There are several to chose from www.igenex.com (800.832.3200) , www.frylabs.com, and many others like Clonogen labs, MD labs, Focus Labs, ect. 2. Ask for a test kit for Lyme Disease and co-infections to be sent to your house. 3. Take the kit with you to your doctor's appointment- must be signed by a doctor. 4. Ask your doctor for the WESTERN BLOT test, Complement Test, and/or Blood Culture (www.advanced-lab.com, 855.238.4949). 5. Ask your doctor to consider the Complement test (C3a, C4a) instead of the Elisa test. www.gingersavely.com, click "Publications." Copy and print for your doctor. Please use LABCORPS only for this test! It will not read correctly if performed by other labs. 6. Ask the doctor to consider checking your thyroid (incl-uding T-3) if you are having symptoms. 7. Ask the doctor to check your vitamins and minerals: D3, Magnesium, B12 and other B vitamins. 8. If you are excessively tired,ask your doctor to check for hormone imbalance, and/or adrenals. Adrenal fatigue often looks like "depression." Keep reading and studying in the Education Tab. Reference laboratories are used by most physicians. However, they do not specialize in the sensitive and multiple strain tests needed to identify Lyme disease. It is "hit or miss" with these labs. Many people have lyme disease and the laboratory says the tests are ,"negative." Tick-borne laboratories are state-of-the-art labs that focus specifically on testing for tick-borne diseases. There are MANY types of testing available. There is a controversy raging for over 35 years between Physician groups, governmental agencies, insurance companies, and university researchers about Lyme disease, or Tick-borne diseases. 1. Main stream medicine is controlled by the Infectious Disease Society of America. They tell the public that Lyme disease a) "doen't exist," b) "is easy to diagnose, and easy to treat." c) Treatment is 14-28 days of antibiotics- all symptoms past 30 days that continue or reoccur and "not Lyme disease." The majority of their doctors have rarely treated patients, and a large group of their patients disable and die. 2. LEGAL Guidelines are written by the International Lyme and Associated Diseases Society (www.ILADS.org). Our organization supports these legal guidelines as the Standard of Care for Lyme patients. These doctors have treated thousands of patients for decades of time, and generated 1600 pages of new medical research and written published journal articles concerning the treatment of Lyme disease patients. They conclude, "long term antibiotics" are needed for Lyme patients to kill the bacteria that has infected their bodies. "Long Term" may mean from 14 days to years, to life, determined by how well the symptoms are controlled. A large group of their patients regain their health and ability to return to school or work. 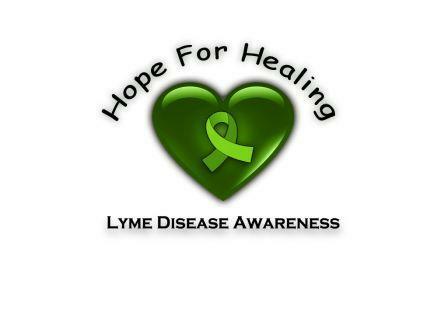 In General: Most people who have Lyme disease are never diagnosed, or misdiagnosed with up to 300 different diseases. Lyme Literate Medical Doctors (LLMD) are trained to help people who have been infected by bacteria, viruses, and parasites from the bite of the tick. There are also other ways people are infected. LLMD's have experience using long term antibiotics, hormone therapy, and many other therapies to help people with tick borne illnesses. The main stream media have ridiculed and persecuted physicians with experience treating lyme disease. However, if you need care, it is much better to go to a Lyme disease specialist trained at www.ilads.org with the LEGAL www.ILADS.org medical treatment guidelines. Why? Because normally you will get better results, they will not make fun of you, and will know that your symptoms are NOT "all in your head." Longer treatment may be necessary! The doctor said my Elisa test was negative. He/she said, "You do not have Lyme disease." Can I still have Lyme disease? Many of the tests for Lyme disease are not accurate. The bacteria, viruses and parasites can attack the immune system. It can evade the immune system and not be detected. Many tests are not sensitive to the number of strains of bacteria that are present in the tick's gut. ELISA tests are up to 95% inaccurate, and most Lyme doctors will not use this test at all. See information at http://www.IGENEX.com for more information on testing. The Western Blot test is the standard "Lyme test," that most doctors will do ONLY if the ELISA test is positive. The CDC requires 5 bands to be positive before a patient is treated for Lyme disease. The Western Blot test came back from the lab and my doctor said it was negative. He/she said, "You do not have Lyme disease because your western blot test is negative." Can I have Lyme disease? The Western Blot test is up to 65% inaccurate. IF your immune system has been attacked by the bacteria, your body may not be able to produce an antigen. The Western Blot test detects antigens made in your body in response to the presence of bacteria. If the antigens are not present in high enough levels, the test will be negative and you could be very sick with Lyme disease. There is much to be learned. Please refer to www.igenex.com for more information on the Western Blot test. A very large number of people have from 1 to 4 bands positive on the Western Blot test. They are positive for Lyme disease and need treatment. Since the Elisa test is so inaccurate, is there a good screening test? Since people who are being tested for Lyme Disease can have negative tests and still have the disease~ a new test was created in 2008-09. Please copy and print the following document. Take it to your doctor and to the laboratory, so they will know how to order the test and how to draw the blood. It is important to get your blood drawn early in the week (Mon-Wed). Physicians who want to help people with tick-borne diseases have suffered greatly in the past 40 years. There has been much pressure for doctors to NOT treat people who are infected. The "Case Definition," is the criteria the CDC uses for cases of Lyme disease to be reported to the CDC. "Surveillance" is "Public health surveillance refers to the collection, analysis, and use of data to target public health prevention..."
Surveillance IS NOT DIAGNOSTIC CRITERIA! Please note the bolden statements below. You DO NOT need a rash to be diagnosed. Laboratory testing IS NOT REQUIRED FOR DIAGNOSIS. The NEW Laboratory tests are NOT MENTIONED! Note: NO RECENT MEDICAL JOURNAL RESEARCH IS INCLUDED IN THE REFERENCES. This surveillance case definition was developed for national reporting of Lyme disease; it is not intended to be used in clinical diagnosis. Musculoskeletal system. Recurrent, brief attacks (weeks or months) of objective joint swelling in one or a few joints, sometimes followed by chronic arthritis in one or a few joints. Manifestations not considered as criteria for diagnosis include chronic progressive arthritis not preceded by brief attacks and chronic symmetrical polyarthritis. Additionally, arthralgia, myalgia, or fibromyalgia syndromes alone are not criteria for musculoskeletal involvement. Nervous system. Any of the following, alone or in combination: lymphocytic meningitis; cranial neuritis, particularly facial palsy (may be bilateral); radiculoneuropathy; or, rarely, encephalomyelitis. Encephalomyelitis must be confirmed by demonstration of antibody production against Borrelia burgdorferi in the cerebrospinal fluid (CSF), evidenced by a higher titer of antibody in CSF than in serum. Headache, fatigue, paresthesia, or mildly stiff neck alone, are not criteria for neurologic involvement. Cardiovascular system. Acute onset of high-grade (2nd-degree or 3rd-degree) atrioventricular conduction defects that resolve in days to weeks and are sometimes associated with myocarditis. Palpitations, bradycardia, bundle branch block, or myocarditis alone are not criteria for cardiovascular involvement. Exposure is defined as having been (less than or equal to 30 days before onset of EM) in wooded, brushy, or grassy areas (i.e., potential tick habitats) in a county in which Lyme disease is endemic. A history of tick bite is not required. A county in which Lyme disease is endemic is one in which at least two confirmed cases have been acquired in the county or in which established populations of a known tick vector are infected with B. burgdorferi. A case with laboratory evidence of infection but no clinical information available (e.g., a laboratory report). A case with at least one late manifestation that has laboratory evidence of infection. Centers for Disease Control and Prevention. Recommendations for test performance and interpretation from the Second National Conference on Serologic Diagnosis of Lyme Disease. MMWR Morb Mortal Wkly Rep 1995; 44:590–1. Dressler F, Whalen JA, Reinhardt BN, Steere AC. Western blotting in the serodiagnosis of Lyme disease. J Infect Dis 1993; 167:392–400. Engstrom SM, Shoop E, Johnson RC. Immunoblot interpretation criteria for serodiagnosis of early Lyme disease. J Clin Microbiol 1995; 33:419–27. Centers for Disease Control and Prevention. Notice to readers: caution regarding testing for Lyme disease. MMWR Morb Mortal Wkly Rep 2005; 54:125–6.